I met Mirsad a year ago when he invited me as one of the speakers at the World Day of white ribbons in the center of Chicago. Then I met Mirsad as a very successful business man, a humanist, a patriot … Now, reading the manuscript of his book, “Death in the White House,” I also get to know him as an excellent writer, the author whose status of surviving victim of genocide and sorrow for the loss of two brothers and other family members are written down, not in the name of revenge, but in the name of truth and justice as the best modes for a better future of both Prijedor and Bosnia and Herzegovina. 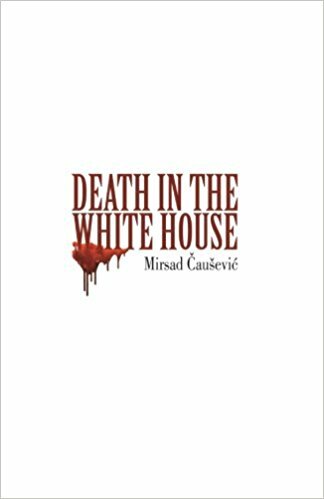 The moral voice of Mirsad Čaušević for those who have no voice, for those who suffer, for those who are continuously discriminated against, but also for those who do not lose hope, was written in his first book, “Death in the White House.” Mirsad’s voice of hope tells the truth by seeking justice. That defiant voice that today lives in a successful business man, humanist and patriot has not yet been released from the “White House” and everyday death. Mirsad heals his pain for the brothers, but also for all innocent victims, by searching for an organic solidarity with another and different. This organic solidarity, which was the subject of aggression and genocide, is, in the melting pot, the American way of social exclusion, in which a constant struggle takes place both for the preservation of individual identity and the preservation of collective identity. Although devastated by the pain of the lost loved ones, Mirsad has a goal, and having a goal in the American dream is the only way to success. To strive with the American dream with the constant accompanying shadow of death, a difficult life path, full of obstacles. But the faith in one God and in the common values of the civilization keeps Mirsad upright. He was not broken by the pain of a victim, nor by the greedy race for wealth in the ruthless American globalization. His moral voice of the morally rich victim of the genocide overcomes the voice of immoral individuals. Talking about the genocide in Prijedor poses a risk that the most important part of what is actually a tragedy of planetary and historical proportions is not properly presented and expressed. In the longest experience, Prijedor is actually silent and suffers, in a dignity of a victim, in front of the scandalous face of the world and the perpetrators of genocide. People should speak about the Prijedor genocide, because it concerns humanity. Prijedor’s tragedy is not over yet. That is why Mirsad says that Prijedor is not only a suffering of Bosnia and Herzegovina: it must be a fateful and important lesson to the world. Mirsad expects the human hand to rebuild the city’s beauty destroyed by genocide by unscrupulous people. Never again let anyone to commit a crime against man and humanity in Prijedor. Let this planetary evil be a warning and an incitement that will make people move forward. May this evil be always remembered: in the name of those who were expelled from their beloved city, on behalf of those who repeatedly raped women from Prijedor, on behalf of those who were waiting for the execution every second, on behalf of those who helplessly watched the crime of their closest, on behalf of all killed people in Prijedor. Prijedor victims have the right to justice and truth. 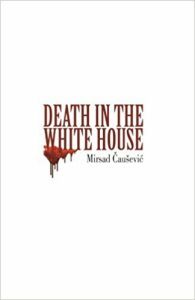 Prijedor criminals have the right to punishment, a great message from the book “Death in the White House”. Establishing a heating and cooling company traces Mirsad’s route to business success, but it is not the success itself, but business success as his victory over the evil, as the victory of the victim over the criminal. That is why his book has a strong message and lesson. Even when you are humiliated, you must remain consistent with your principles as a human being. You have to believe in yourself and your possibilities. Man is the creator of his destiny. The surviving victim of genocide has nothing to lose. The victim can only win. Persistence with maximum sacrifice is an important factor for Mirsad’s success. But Mirsad knows that the business success of a victim is final and complete only when you share it with others. Life gives you more if you help others. Thus we get Mirsad as a successful business man, but also as a humanist and patriot. Mirsad is actively involved in the work of the Bosnian-Herzegovinian community in Chicago. He knows that without a strong community there is no preservation and strengthening of national identity in the American melting pot. And an integral part of that work is a constant struggle for truth and justice without which there is no better future. Although he lost his loved ones, Mirsad does not hate anyone. He does not really know how to hate. He treats his wound on the soul with spreading and sharing his positive energy and love around him. That is how he found peace in his wounded soul. Mirsad is sending the message to the criminals, who are still walking freely, and the whole world: we will never forget, we will never forgive. We will return educated and smart youth to the Prijedor promenade. There are no words to comfort women form Prijedor. Nobody tried to prevent evil in Prijedor. Nobody seriously tries to bring Prijedor criminals to justice. Little is written and investigated about the genocide in Prijedor … Therefore, Prijedor people, do not forget the Serbian-Montenegrin crime and the destruction that they committed. Mirsad has achieved his goal. He is a happy man who loves life, his family, his people from his two homelands. With his book, Mirsad is sending a message to those who touched the bottom of life that there is a way out. It is important to find the goal and turn to the right path. Mirsad is happy with small things, and is the happiest when he helps others. With an active attitude toward the realization of his goal and helping others, Mirsad puts his pain aside. Mirsad’s message is best quoted in the saying: “Money cannot buy happiness”. For him, happiness is: health, love, respect, family, helping others. Happiness is when you have the goal and when you achieve the desired goal, happiness is when you believe and when in that faith you find peace for your soul. The aggression and genocide strengthened Mirsad in that way. Isn’t that the best answer to the criminals? All that he survived in genocide actually made Mirsad become what he is today. The humiliations he received in the camp had influenced his modesty today. Happiness of others is his happiness. That’s why he sends his message to everyone as a guide to the happy and successful life of the surviving victim. Indeed, evil must not be forgotten. It must be told, written down. But Mirsad’s story and record have a special value, because beside the culture of memory, it offers a special guide to the successful life of the surviving victims of genocide. To send this magnificent message to the world, Mirsad went through the fears and pains of evil again. It was a difficult return to crime, but very useful and important for a better future of man and civilization.